The Wolf Creek Local Staff members are trained and prepared in the event that they have to deal with large wounds. 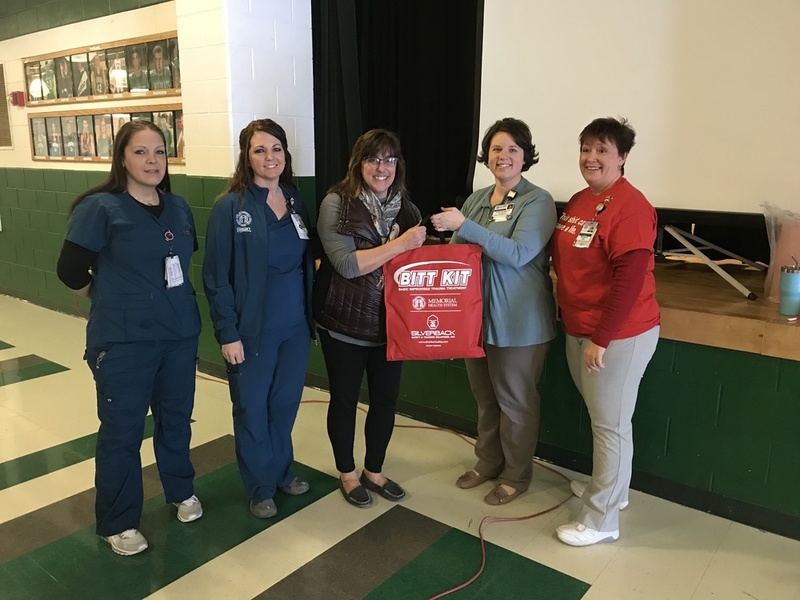 Thanks to Marietta Memorial Health Systems and Nurse Roe, the staff have been trained in what to do in the event that there is a need to triage and treat catastrophic wounds. As part of the training, a "Stop the Bleed" kit has been donated to the schools.